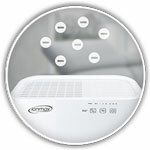 The Ionmax Breeze ION420 Air Purifier features 5 stages of air purification to ensure the cleanest, healthiest indoor air quality possible for your home or office. Integrating a 3-in-1 filter that consists of a pre-filter, HEPA filter and an Activated Carbon Filter; a negative ioniser, and UV-C light for sterilisation, the Ionmax Breeze ensures complete air purification performance for your whole home. And with unique, user-friendly features - touch control panel, large air outlet, powerful fan, and low noise levels - the Ionmax Breeze is powerful, efficient, and easy to use. Let the ION 420 give you clean, pure air and high spirits. 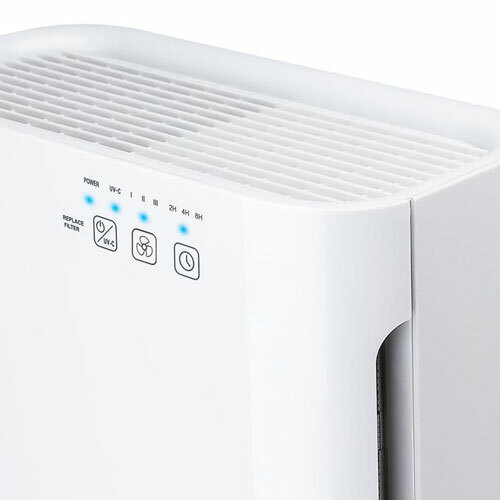 As a multifunction fix for allergies, asthma, and respiratory irritation, this Air Purifier will improve your daily life and allow you to breathe easier. The ION 420 fights viruses to keep you healthy all year round. Its sanitizing filters will manage bacteria levels and odor-causing particles to provide your family with a fresh living space. 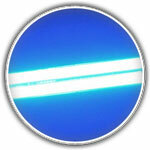 The ION 420 Breeze Air Purifier touch panel on the front of the unit make controlling the air purifier a breeze. Featuring a filtration system comprised of a pre-filter, HEPA filter, carbon filter, UV sanitisation, and negative ionisation, Ionmax air purifiers combine premium design that matches any decor with some of the most powerful filtration systems available. 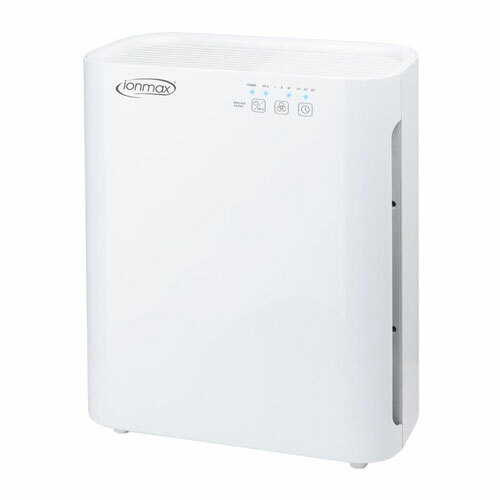 The Ionmax Breeze ION 420 Air Purifier boasts a multi-purpose filtration system that traps pet dander, hair and is able to remove fine particles that include dust, smoke and pollen, along with bacteria and mould spores, making it a welcome addition for any home or office. Note: Based on typical use, the filters will need to be replaced every 12 months. 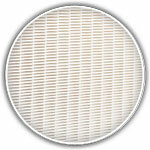 Light routine maintenance, such as wiping the filters, is recommended every 3 months. 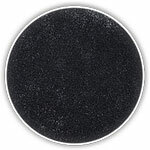 This is a great sized filter that can do larger living areas and the bedroom. Personally, I use it for the bedroom as the living area is aired out through the day but the bedroom is at the back of the house. The LED lights are bright but they can be covered at night. I can comfortably sleep with it in the room on the lowest setting even though I am a fairly light sleeper. Overall I would recommend the product. Great service by Sleep Solutions. It arrived promptly. Great for my dusty bird seedy house.